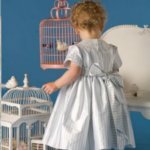 Description: Your little angel will delight in wearing this pretty dress in crisp silk dupion, with pale blue and white stripes. 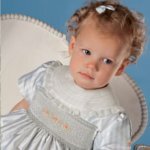 The petite embroidered flowers that decorate the smocking also feature on the pleated, piped sleeves. 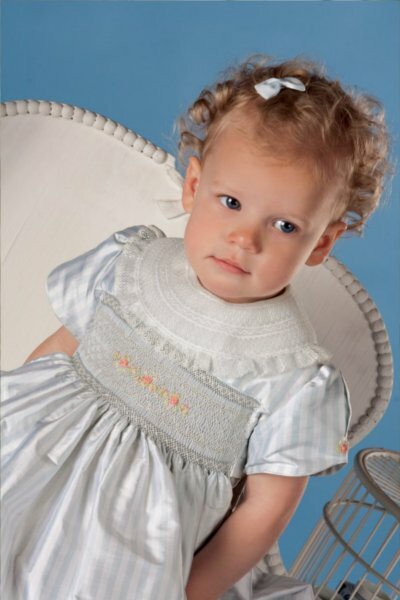 The neckline is finished with a charming lace collar and a beautiful bow ties at the back. Sign in to post your comments!